3 years & up. The rescue squad travels to the city or the town helping people as they go. 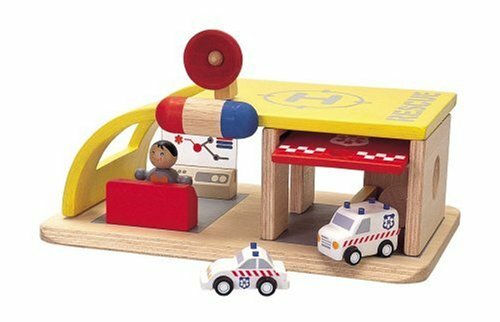 Set includes a police car, ambulance and figure. Made of natural, chemical free recycled rubberwood and finished with non-toxic water based dye. 4"H x 7"W x 10 "L.